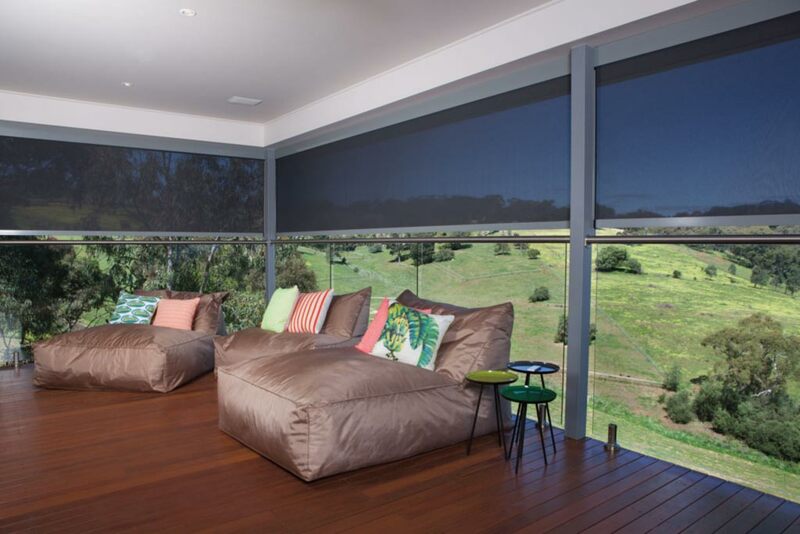 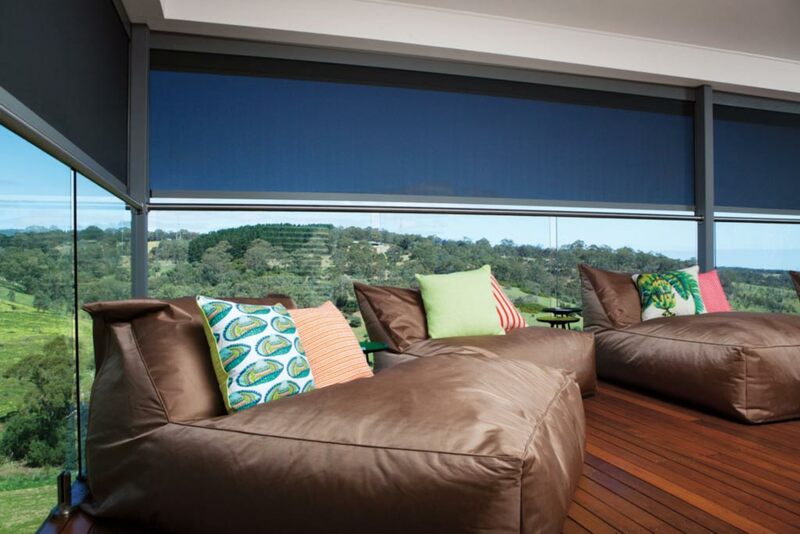 Total Outdoor Living offers a wide range of outdoor blinds and patio blinds. 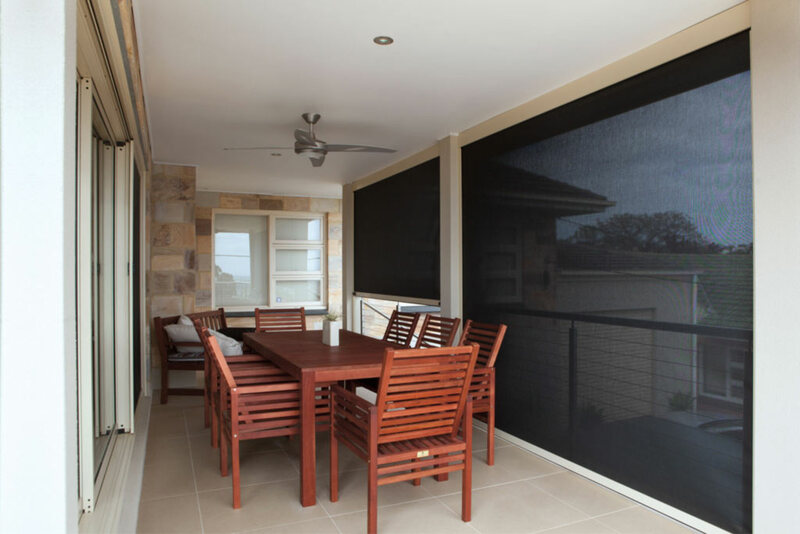 Sometimes referred to as Ziptrak blinds, café blinds, alfresco blinds or bistro blinds, they are all custom made for an exact fit in a choice or combination of high grade clear or tinted PVC, woven mesh, or canvas. The advantage of clear or tinted PVC blinds is that they offer protection from the elements so you can turn an outdoor entertaining area into an extra room that can be used all year round while still enjoying your outlook or views in comfort. 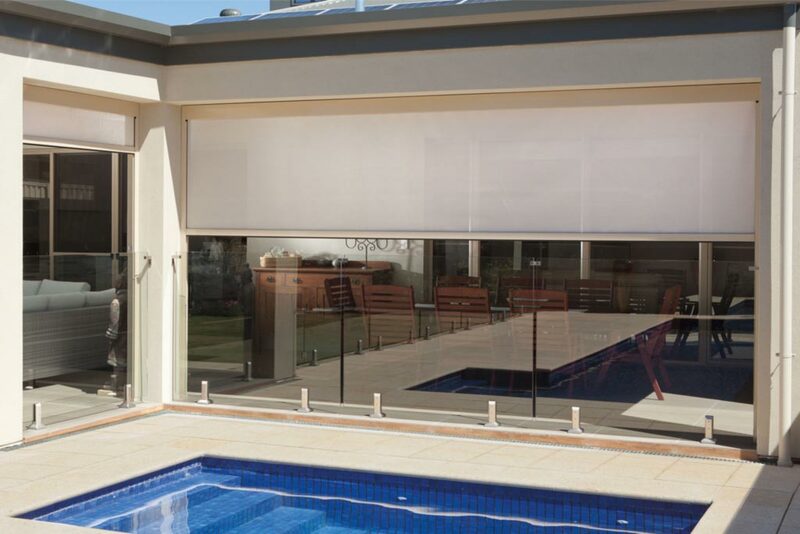 While canvas blinds offer 100% all year round protection from the sun, wind and rain, woven mesh outdoor blinds offer the best of both worlds. 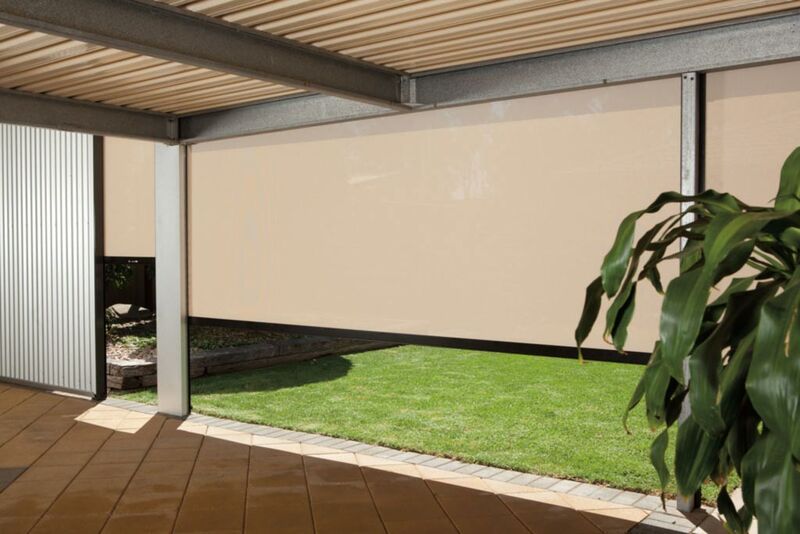 Being see-through, you retain your outlook with the added advantage of providing 90% protection from the hot summer sun and a similar level of protection from winter winds and rain. 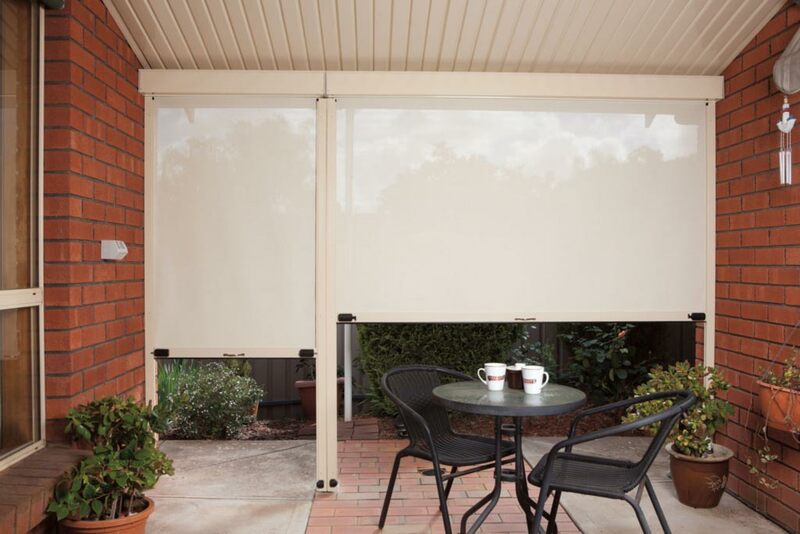 All our outdoor cafe blinds, patio blinds and Ziptrak blinds are designed and custom manufactured for a perfect fit. 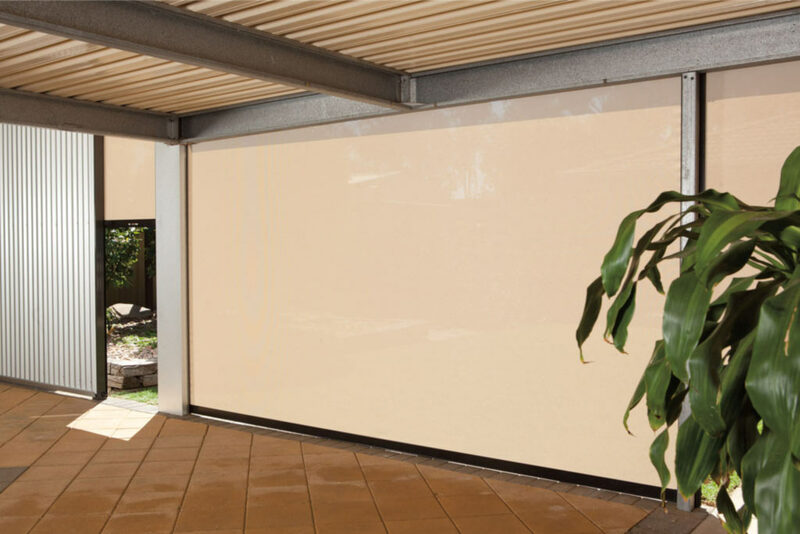 They come in a huge range of fashionable colours to match your decor. 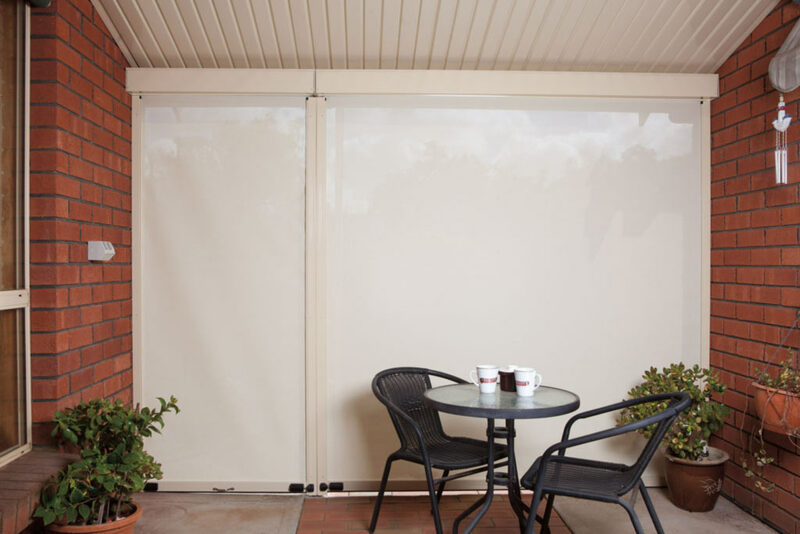 Superior Ziptrak blind system does away with the need for ropes, pulleys, zippers and buckles associated with a traditional outdoor blinds. 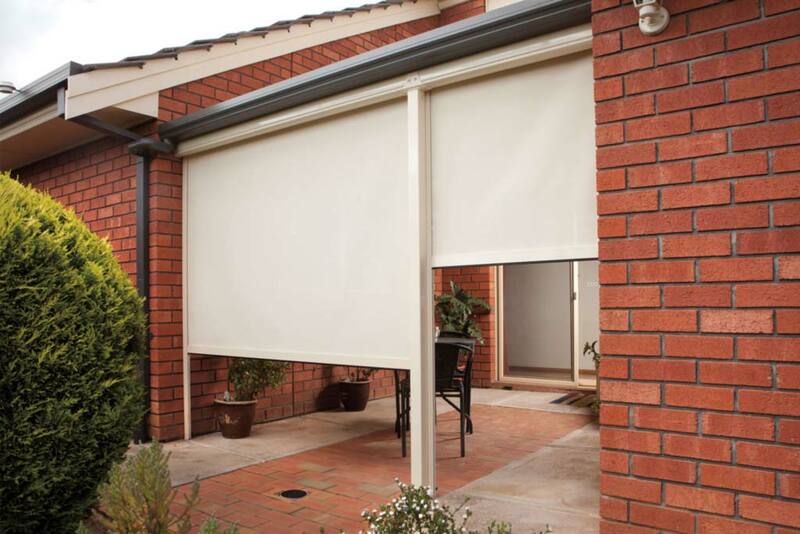 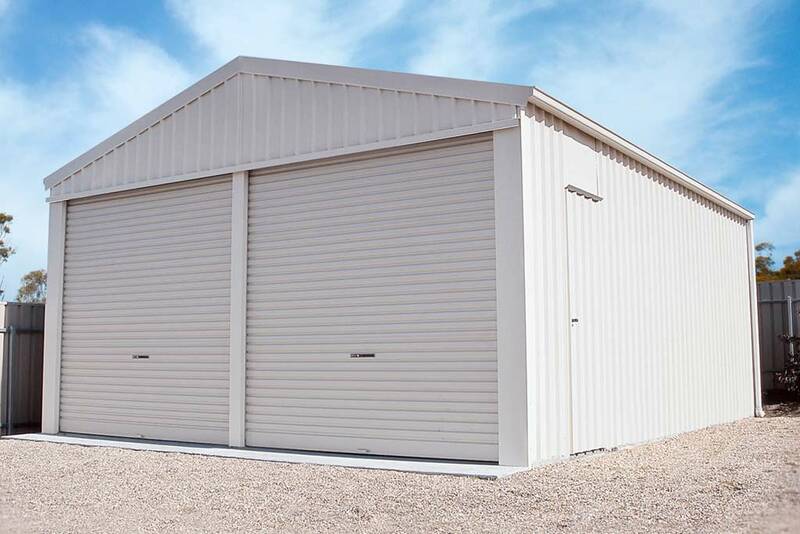 Instead, they use discrete slotted tracks that allow the blind to be raised or lowered quickly and effortlessly and stopped and held at any height or position. 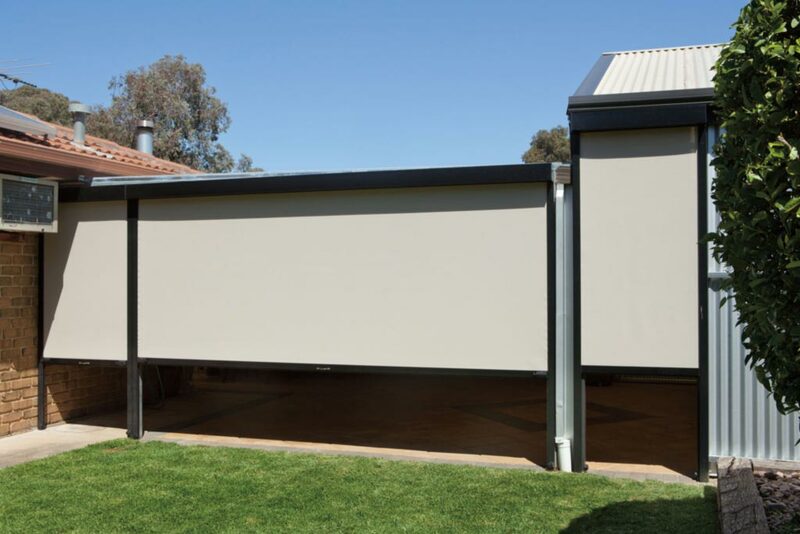 This can be done manually or electrically using a remote control when a motorised roller is fitted. 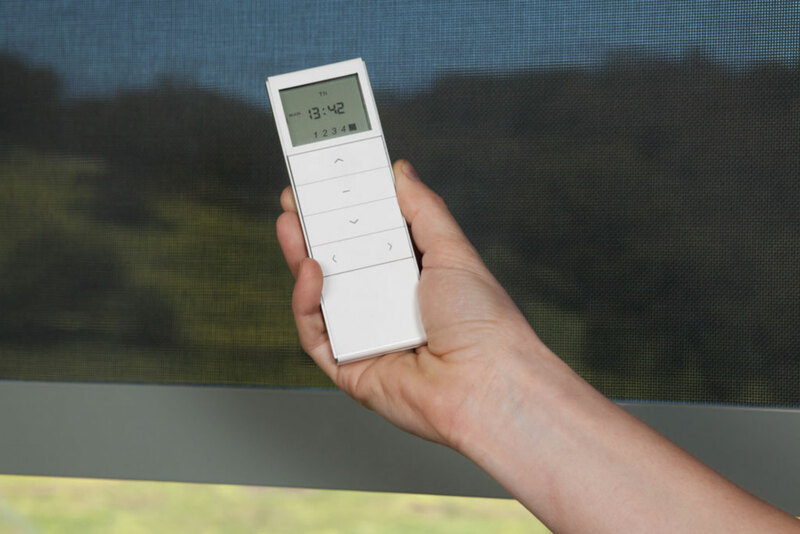 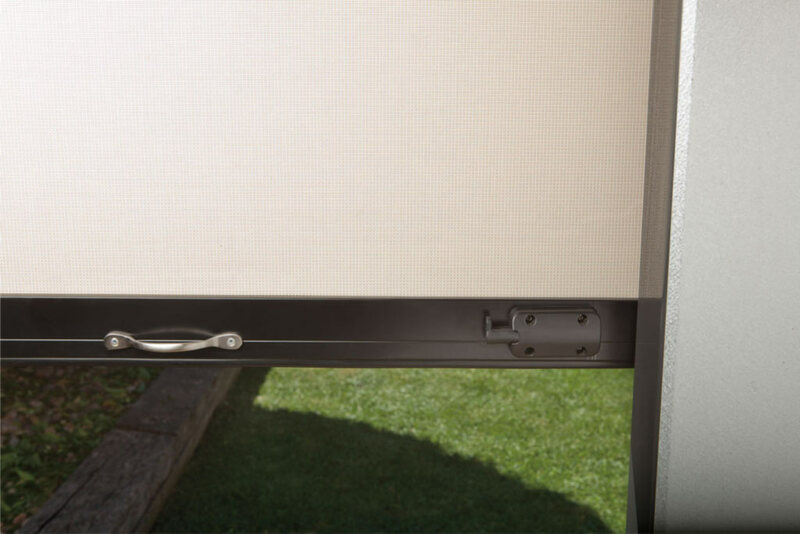 Unlike inferior track systems, when we custom-make our Ziptrak blinds we fuse a special spline onto the outer edges of the blind material itself. 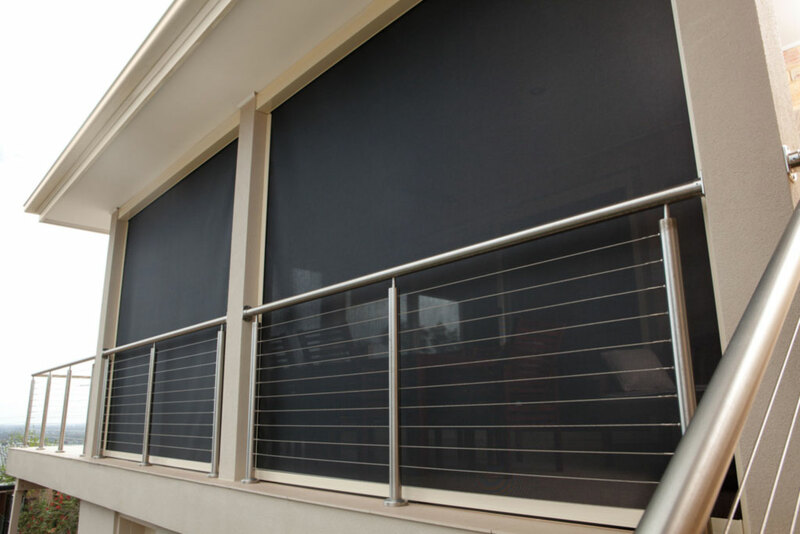 When installed, this ‘locks’ the blind into the track making it more secure, even in windy conditions. 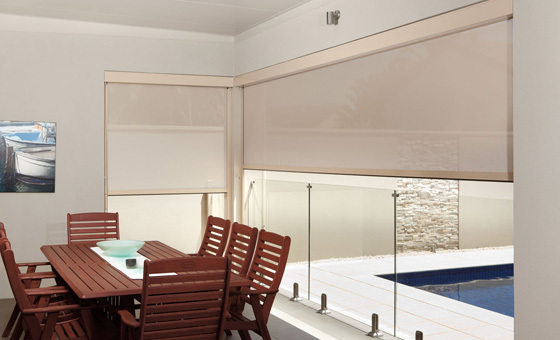 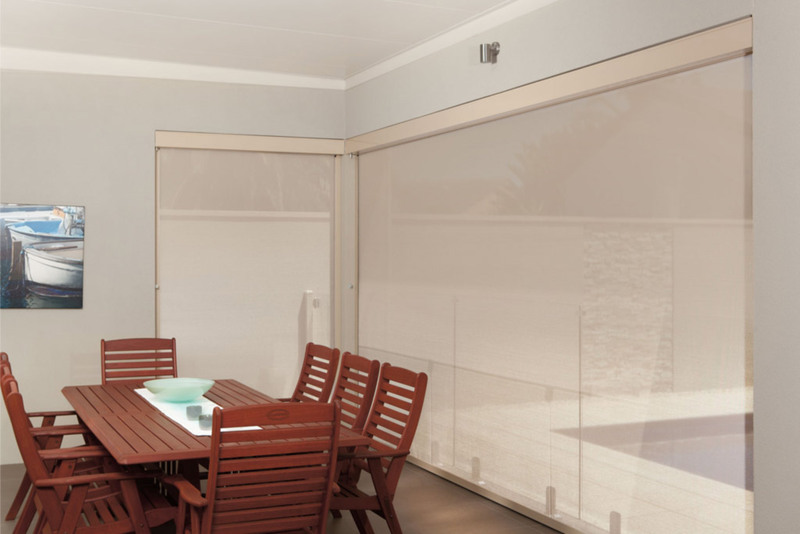 Better still, this unique Ziptrak system means that your outdoor blind always remains taut, neat and attractive. 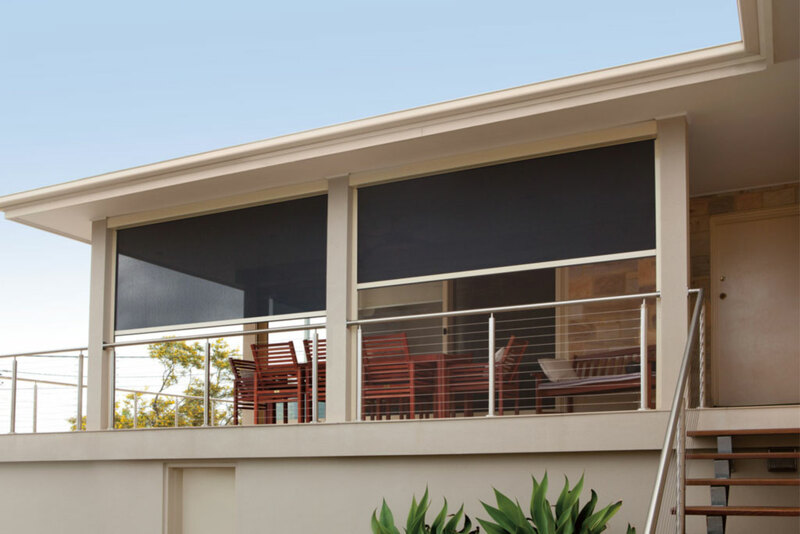 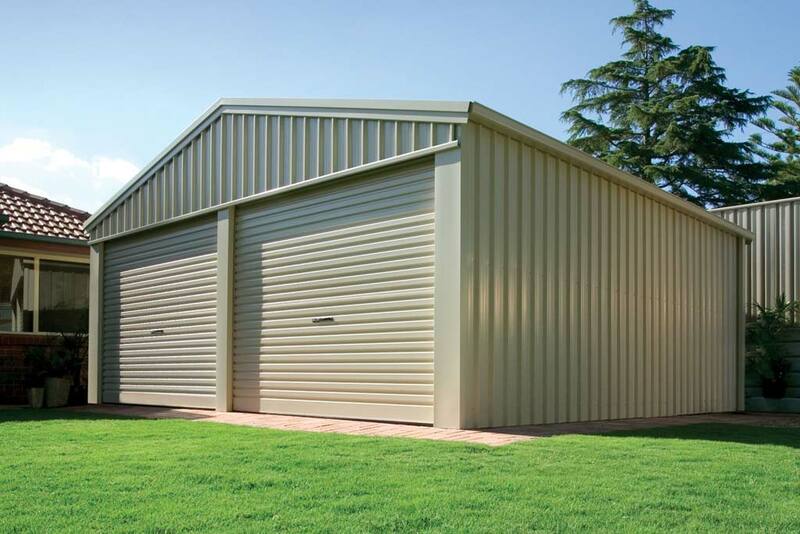 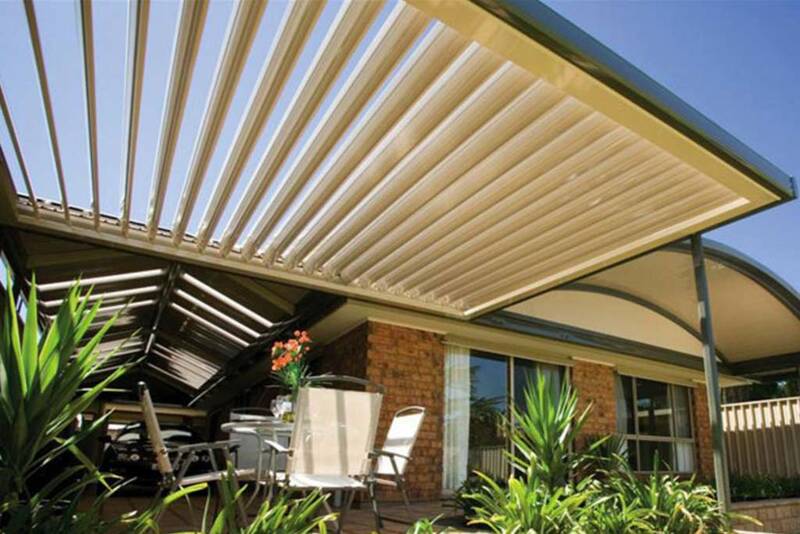 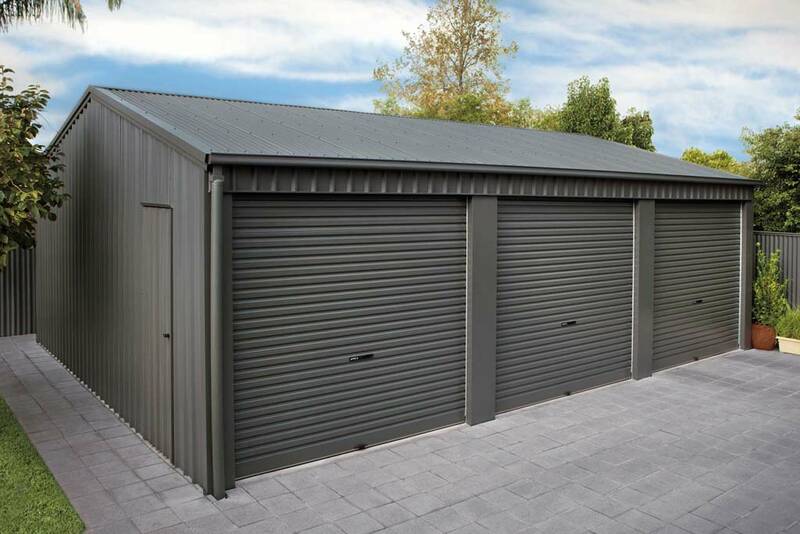 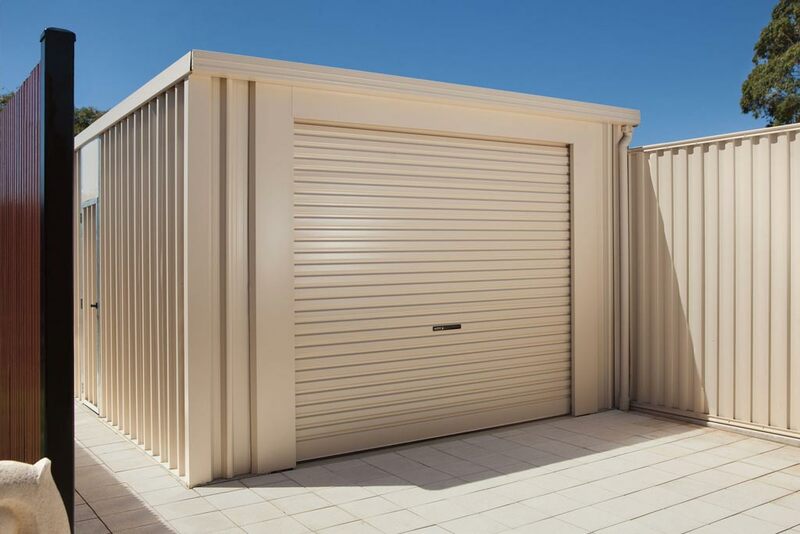 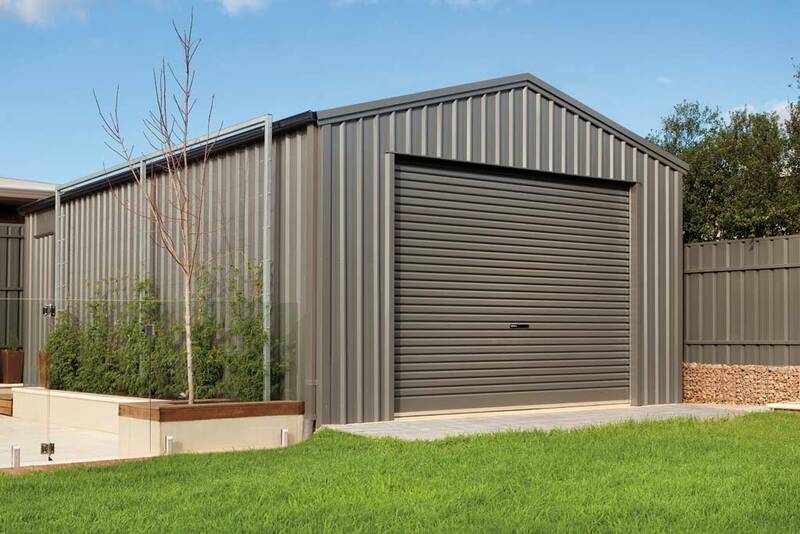 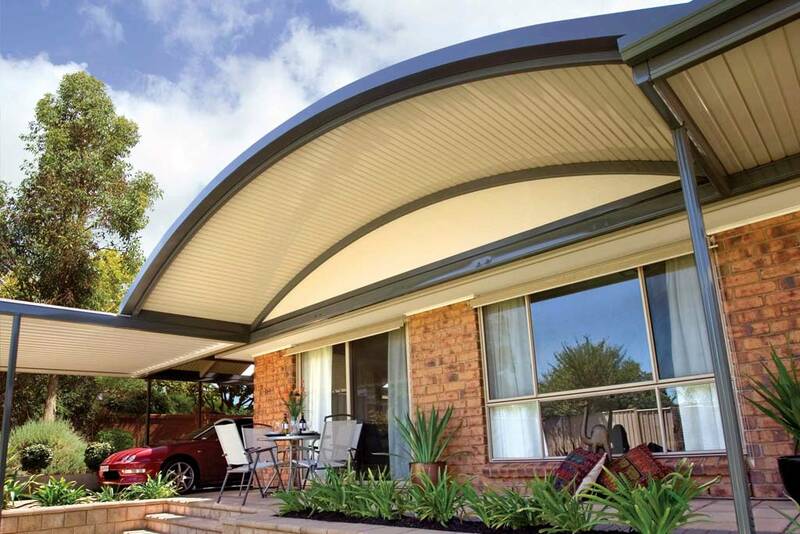 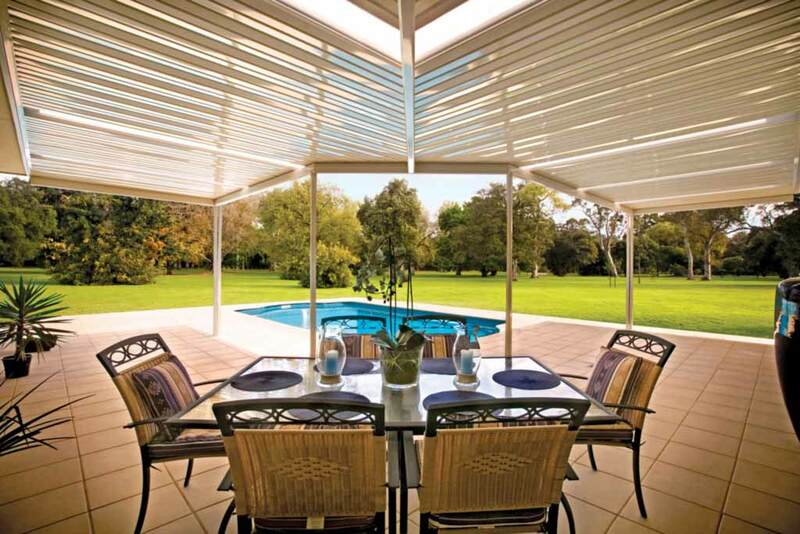 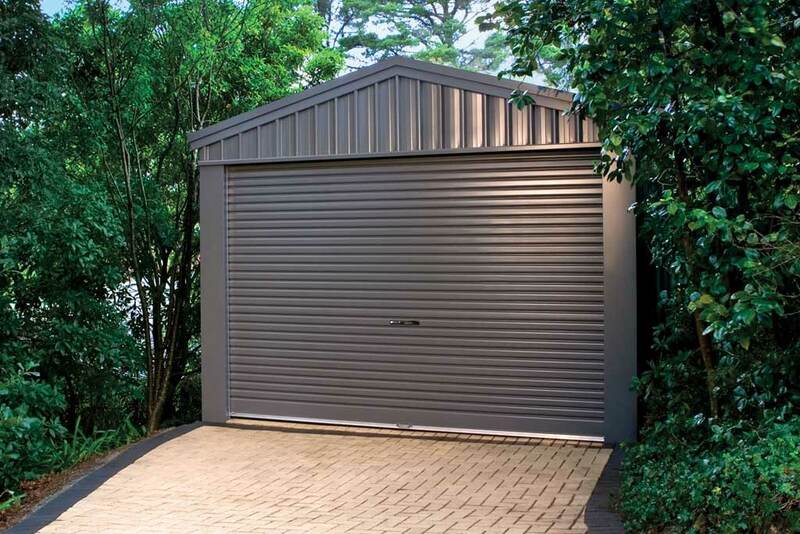 The side track extrusions of the Ziptrak blind system are made from high grade aluminium and can be powder-coated in any colour to suit your décor and can be used with clear or tinted PVC blinds or woven mesh blinds.